Stencil. Born1959 Kanagawa Prefecture. Educated at Nihon University. Permanent Collections: Museum of Fine Arts, Boston; Library of Congress, Washington DC; Museum of Arts and Crafts, Hamburg, Germany; Tikotin Museum of Japanese Art, Israel; Singapore Art Museum; Kabukiza Theatre, Tokyo. Takahashi has given solo exhibitions in Washington, Singapore and Tokyo, and participated in numerous group exhibitions across many countries. Named Most Promising Artist , Grand Prix Exhibit, Isetan Art Gallery, Tokyo 1986, 1989. 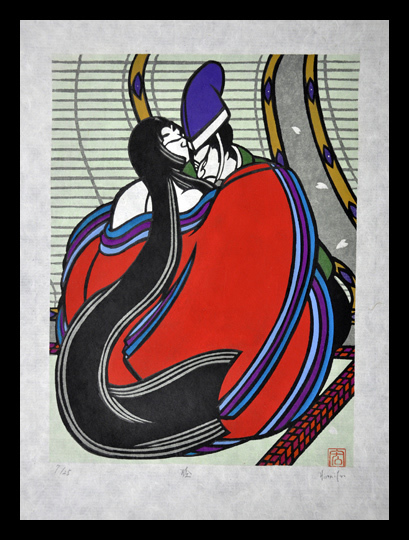 Takahashi was strongly influenced by the master stencil artist Mori Yoshitoshi (1898-1992), for whom his parents worked as printers. 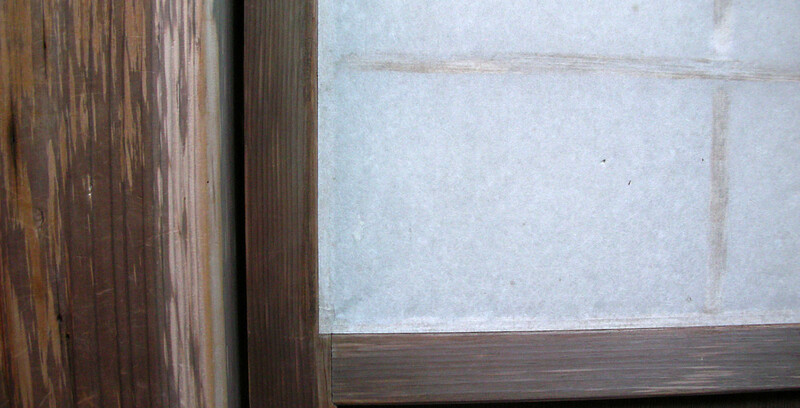 Like Mori, he specialises in kappazuri stencil prints depicting figures from the Kabuki theatre. One also sees the likeliness of the old ukio-e print images in some of his works. However Takahashi soon developed a distinct style of his own in his colourful figures full of character and movement, and is known for signing his works just by his given name Hiromitsu. His editions are usually very small.